At St. Bernadette’s we foster a culture of safeguarding in which the safety and well-being of our children is paramount. 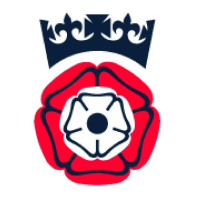 Any safeguarding concerns should be raised immediately with Mr Lee, Mrs Dickinson or Mrs Baxter, our safeguarding leaders. We operate a whistleblowing policy and expect all adults connected with our school to follow procedures. At St Bernadette's we understand that safeguarding is everyone’s responsibility. All members of staff, including teaching and support staff receive annual safeguarding training. This covers all areas in the DFE document, ‘Keeping Children Safe in Education’ September 2018 - including the Prevent Strategy, FGM and Child Sexual Exploitation. There is a wealth of information available to parents, teachers and young people to help keep themselves safe on-line. We take E-safety very seriously in school and run an on-going program of age appropriate discussions and exercises to help equip children for the dangers they may encounter using today's internet technologies. Parents are encouraged to attend the school’s annual e-safety workshop for parents. Children from Year 3 to Year 6 have access to the school learning platform. This is a specially designed area of our web site that allows children to use email, forums, blogs, and wikis in a safe and child friendly environment. As they move through the school the children are introduced to the various functions which are internal to our school only, providing a safe introduction to facilities such as social networking where they can learn to be responsible and safe internet users. 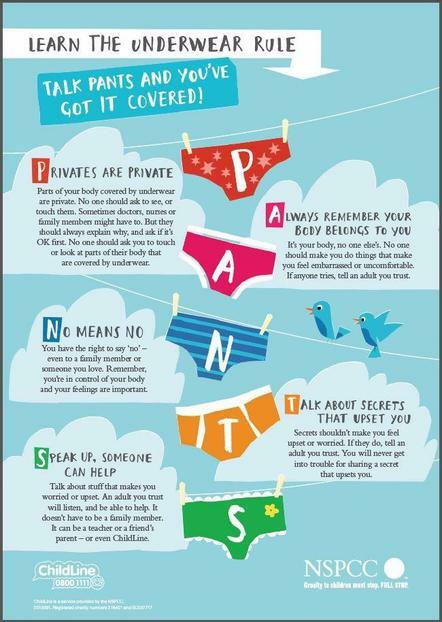 NEWSFLASH St Bernadette’s is working with NSPCC on the Underwear Rule – a simple child friendly way of staying safe! Thinking of leaving your child at home?